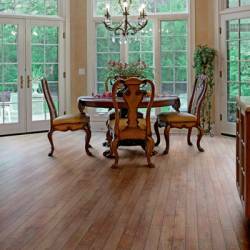 Although BonitaFloors.com is primarily engaged in hardwood flooring, it took us awhile to get used to the idea offering laminate floors. Much has changed since laminate flooring began selling in the states back in the mid nineties. We became somewhat disillusioned with laminate floors for several reasons. Those included, peaked seams with glued type installations, easy chipping on the ends, and susceptibility to moisture. With a good dose of high humidity those dang floors would react in all sorts of way! Installation was not an easy task either. Laminate floors of the past required gluing with clunky strap clamps to keep the floor tight and intact while the adhesive set. Unfortunately few installers invested in the special tools to do so, resulting in gapped floors where moisture and dirt caused havoc. 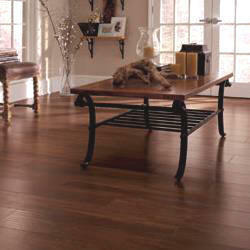 Today all laminate floors are click together type, or snap and lock, similar to floating engineered hardwood floors. Now the better manufacturers have a handle on the issues mentioned above, and the styles are very impressive! If you're looking for .89 cent per square foot laminate floors you'll find plenty of them at Floors To Go, Costco, and the like, but you will not find them an BonitaFloors.com! Quite frankly we didn't know what was happening in the laminate floor business until we started hearing about hand scraped laminate floors. It was then our curiosity was brought to attention. Now the better laminate flooring manufacturers are no longer offering just the standard boring butcher block appearance that was the norm in earlier days. Earlier laminate floor versions primarily had one dimension and style. Approximately 7 inches in width with three strips and standard length of 48 or so. 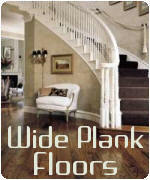 Now, many hardwood duplicates are available including random length, beveled and micro beveled. Designs are available in one face widths from 3 inches to seven. 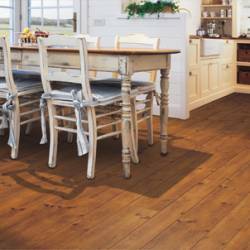 Random width laminate flooring took us by surprise also as seen in the Alloc Timberview Collection. Other interesting laminate styles include textured surfaces. Many mimic the actual look of hardwood, tile, and stone floors. Exotic hardwood styles are also available. 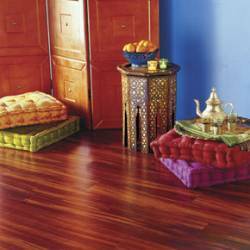 For those concerned about the durability of bamboo floors, a few manufacturers offer a bamboo laminate floor. One popular seller is in the Pergo World Traveler line. Laminate floors have changed indeed! Improvement over the years in quality, styles, and choices has proven they are an excellent alternative choice for those with very active households and limited budgets. Prices are also extremely reasonable at Bonitafloors.com. As our slogan says "....browse 24/7..." All budgeting can be done with the click of the mouse on our site any hour of the day. All products are available for viewing in our showroom with website prices always up to to date. Need map & directions?